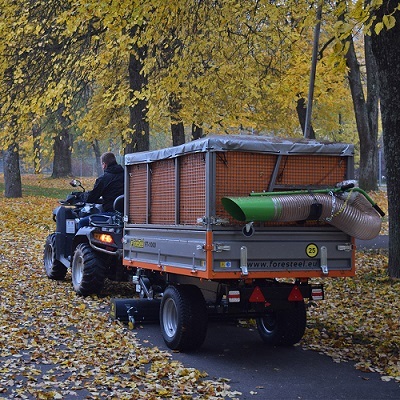 Simple and genuine collection unit for Foresteel trailer series to minimize manual labour and collect leaves and debris efficiently in good to moderately damp conditions. 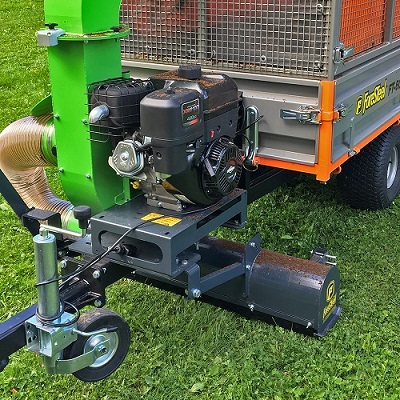 Foresteel vacuum solutions are a great fit for municipalities, greencare contractors, private companies, horticulture and greencare professionals, park maintenance companies and all greencare enthusiasts who love making their tasks efficient and enjoyable. Suction unit's are available for every FT-trailer model. The best leaf vacuum fit for underframe unit is MIDvac and PROvac.